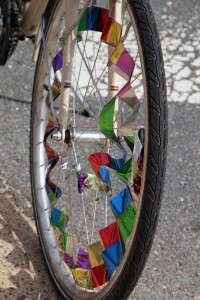 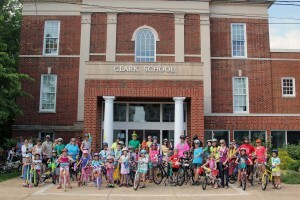 We decorated our bikes with streamers, tape, beads, ribbon, flower leis, and pinwheels. 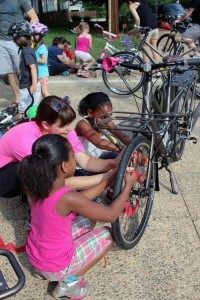 Our friend Melissa from Community Bikes, gave a bike safety talk before our ride. Amanda Poncy from the Charlottesville Bike and Pedestrian Safety Committee helped us with a safe bike route to the library. 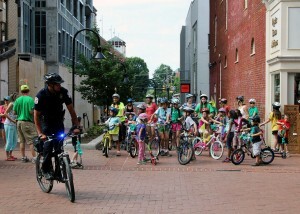 Officer Douglas escorted our group through Belmont and downtown Charlottesville on his police bicycle. We have so many great friends and community members that helped us pull everything together. 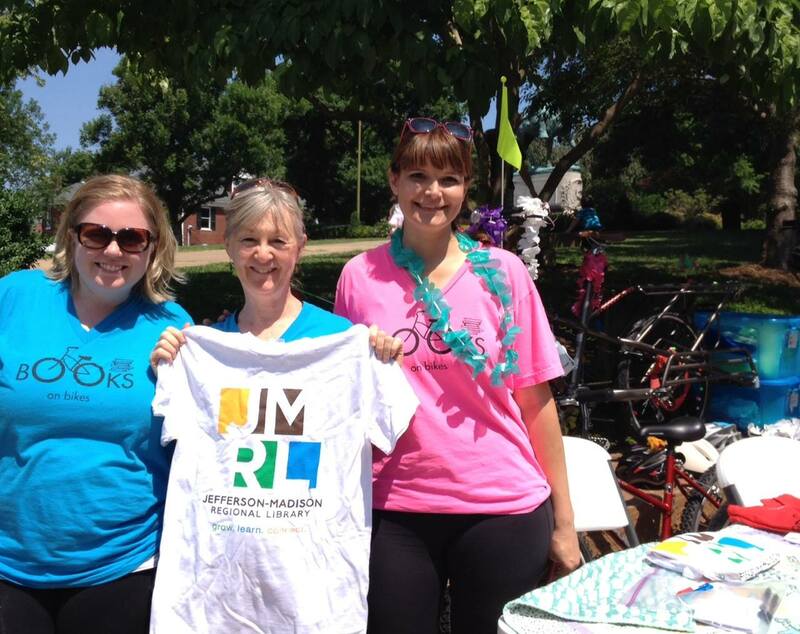 Once we arrived at the library, we all participated in the JMRL Summer Reading Kickoff. 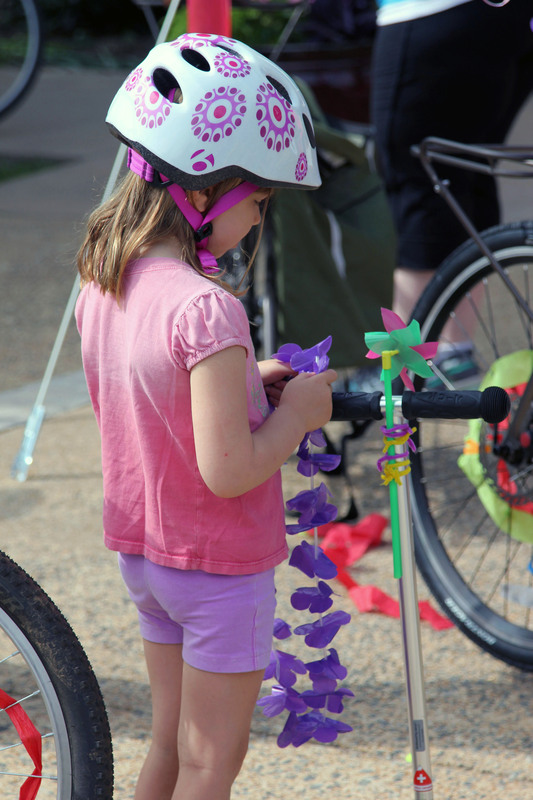 There were free donuts and popcorn, children could meet their favorite mystery mouse, Geronimo Stilton, and we could all sign up for the library’s summer reading program. Books on Bikes gave out freezee pops, of course! It was a perfect day and a perfect start to our Books on Bikes season!